While we’ve had a growing focus on environmental sustainability for some time now, we’re seeing an increasingly health-conscious society emerging in Brisbane. We’re demanding higher standards in our food—and we’re always looking for responsibly sourced organic produce, and innovative ways of improving our diet and dining experiences. Even chain supermarkets are attempting to get on board with fresher produce, as they find themselves for the first time in real competition with farmer’s markets and independent grocers. But what better way to really guarantee that your fruit and vegetables are delivered to your kitchen straight out of the fresh earth, unadulterated and unmodified, than to grow them yourself? There are many edible plants you could consider adding into your garden, even in suburban Brisbane—and as well as giving you fresh food for a fraction of the expense, they can also make your outdoor living spaces beautiful. We’ve seen how expensive fruit can be at the supermarket when there are natural or other disasters that grind production to a halt at their source. And with extra taxes to reduce carbon emissions from things like transporting them, we’re only going to be paying more in the future. 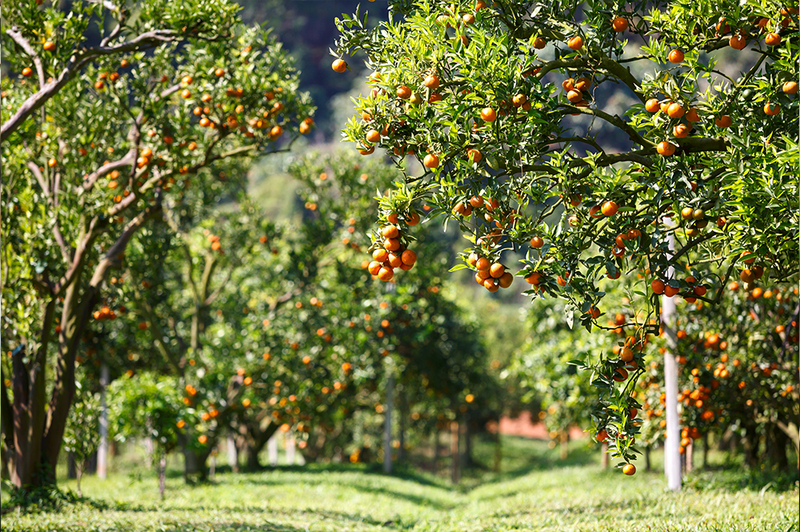 Planting the right trees in your yard could mean never paying for fruit again. Despite the perils of Brisbane’s climate that can affect the flowers and buds, and a whole host of pests (both the flying and the furry ones) that are always ready to strike, citrus trees usually do very well in Brisbane. They need very little maintenance, and even when they’re not well cared for, their branches will most often still be soughing under the weight of a full harvest every season. Because they love full sun—and will even do well in pots—mandarins, oranges, lemons, limes and cumquats are excellent choices for many Brisbane backyards. 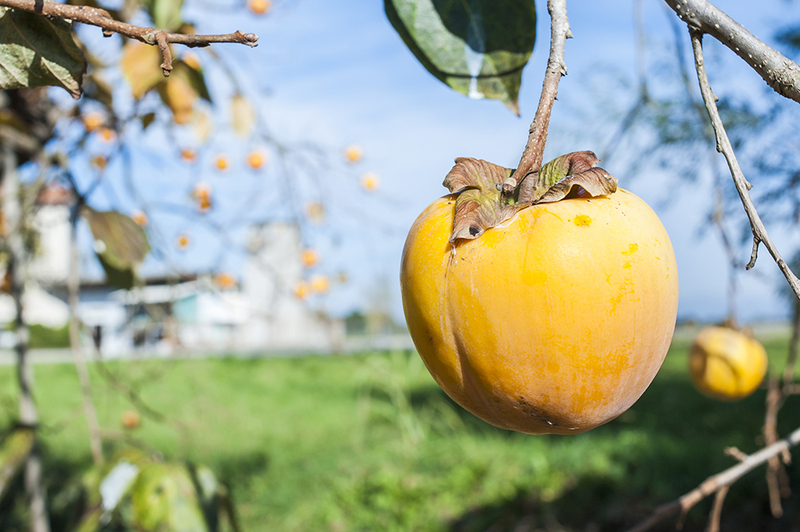 Your edible garden trees don’t have to stop at citrus, though. 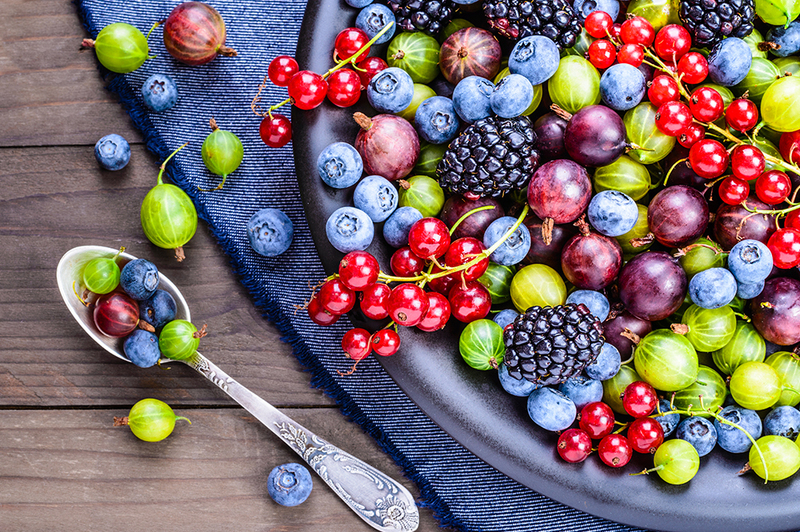 In Brisbane’s subtropical climate, you’re likely to be successful with a whole range of other fruits, including cherries, mangoes, apples, avocados, nectarines, paw paws and pomegranates. 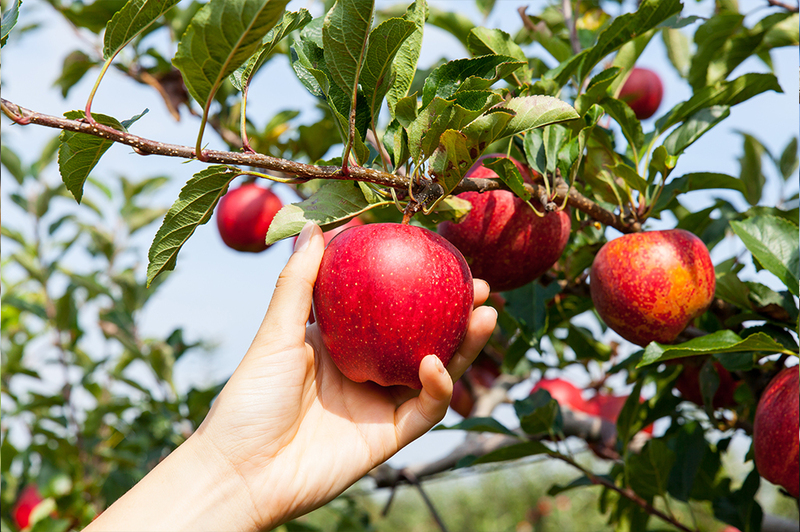 While never paying for your favourite fruit again is a great incentive to plant fruit trees, they can also add a touch of beauty to your yard with their bright colours, and just a bit of pruning. Vines fruits are both delicious and beautiful, and can turn any garden into an epicurean paradise. Most will do well in Brisbane’s warmth, especially those vigorous evergreens like passionfruit whose strong vines help them contend with wild tropical weather. They just need a bit of well-watered, rich soil (fertilised with manure or other animal fertilisers that release iron), and a little pruning, and they’ll do very nicely. Kiwi fruit will survive in the subtropical temperatures that they’re not particularly suited to, because they’re such vigorous growers. Diligent watering and mulching (in well-drained soil) will compensate for periods of warm temperatures. 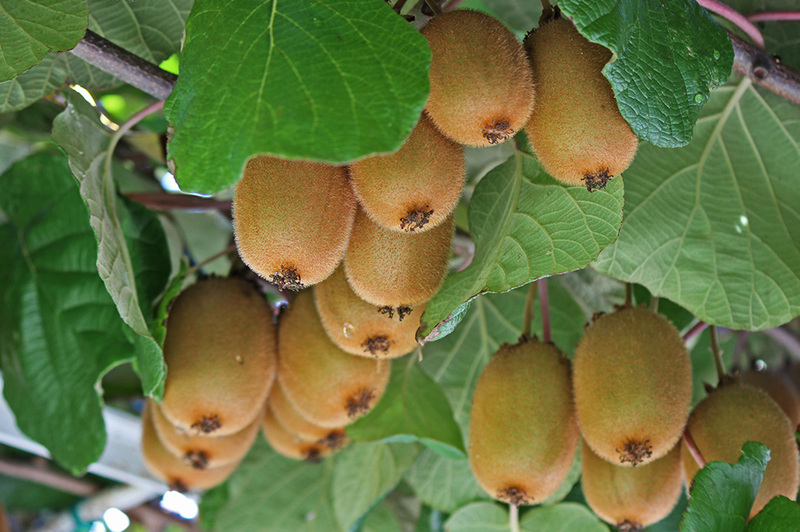 Within a couple of years, your kiwi vines will be heavy with their yield, even with generous and regular pruning—so train their vines along strong fences or trellises for support. 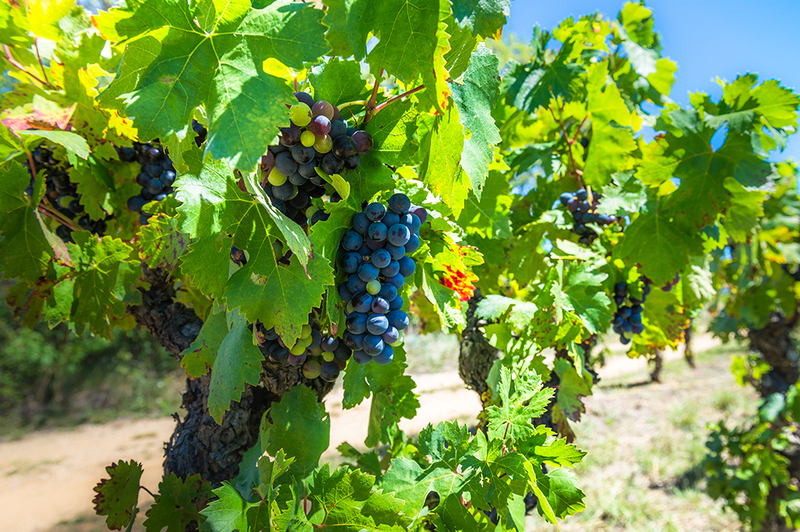 And in case you don’t believe it’s possible, grapes will also do surprisingly well in Brisbane’s climate—even with the bare minimum of maintenance. If you’re looking for a delicious pop of colour in your yard, you should also consider dragonfruit. There are quite a few variants of the fruit, but it’s characterised by its unique colouring with intense purples, reds, and yellows—and beautiful flowers. 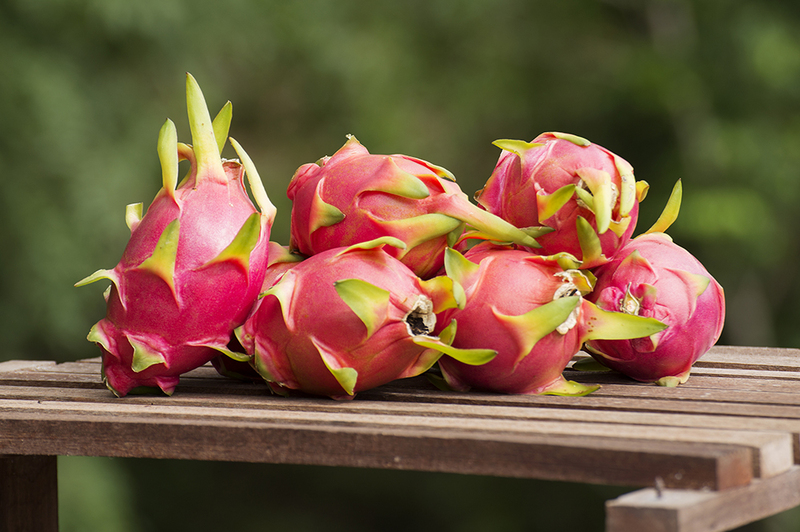 Dragonfruit is also delicious, and its mild taste (somewhere between melon and kiwi fruit) is increasingly in demand throughout the country,and not just from the more adventurous foodies. 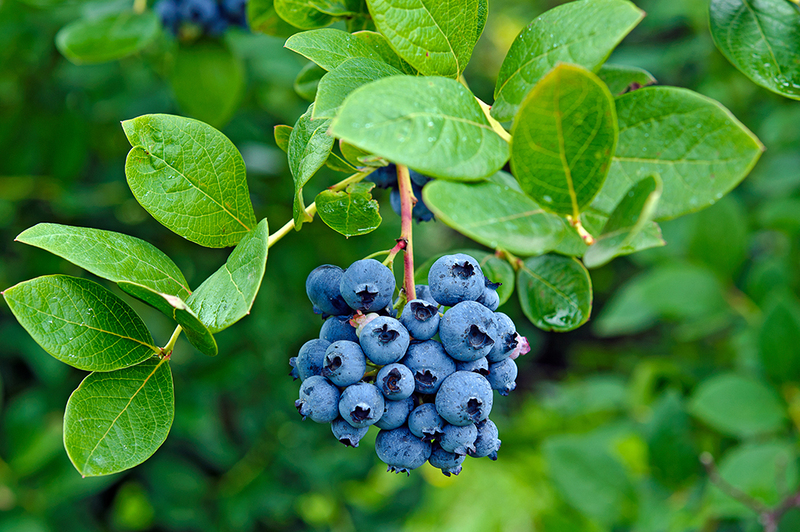 Blueberries will add both a burst of bright colour to your garden, and rich nutrients and antioxidants to your diet. They’re surprisingly easy to grow in the Queensland climate, being suited to growing in both pots and ground soil—as long as the soil is rich. Adding compost and mulch to achieve an acidic pH will likely solve any problems you do have getting them to thrive. 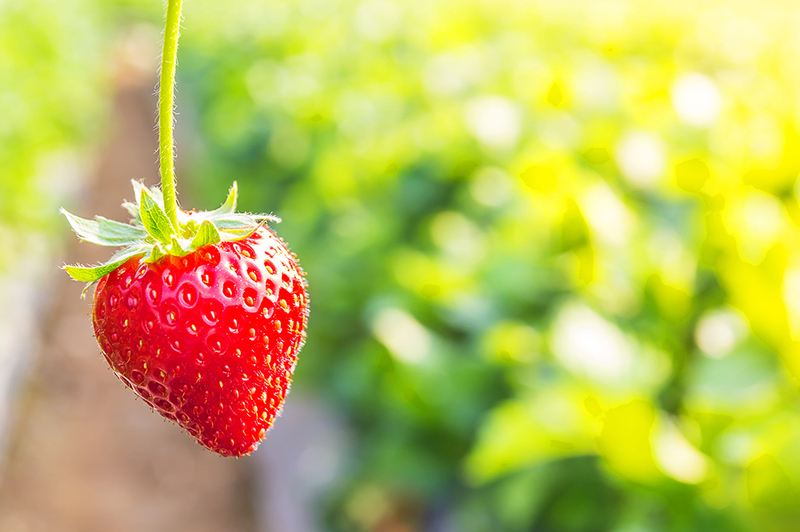 Strawberries are also a safe bet for edible gardening in Brisbane, because they prefer to be in full sun and well-drained soils. The main consideration with strawberries is avoiding the risk of fungal diseases in soils that you’ve previously grown other plants in (usually potatoes and tomatoes), but otherwise they’ll do well in pots and hydroponic systems. They’re a rich source of vitamins, and bring a gorgeous splash of colour to summer meals and drinks—and your garden greenery. Vegetable gardens wouldn’t be the first thing you’d consider if you were trying to build a colourful gardenscape, but they’re so valuable as a food source that they’re always worth the effort. And they can add a nice touch to your yard -if you use them the right way. Vegetables are an important part of creating biodiverse, mini ecosystems in your backyard. 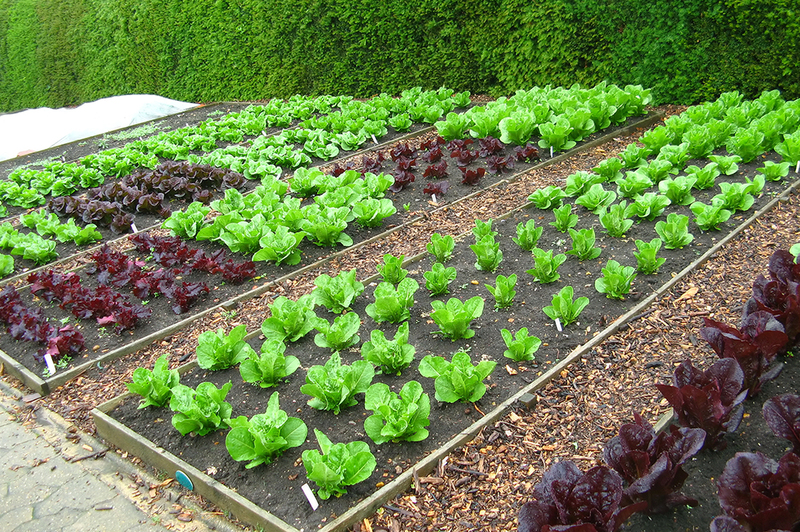 You can spruce up your tired-looking vegetable patch, and protect it from pests at the same time. By growing them together with flowering plants that attract the helpful predators of unwanted insects. 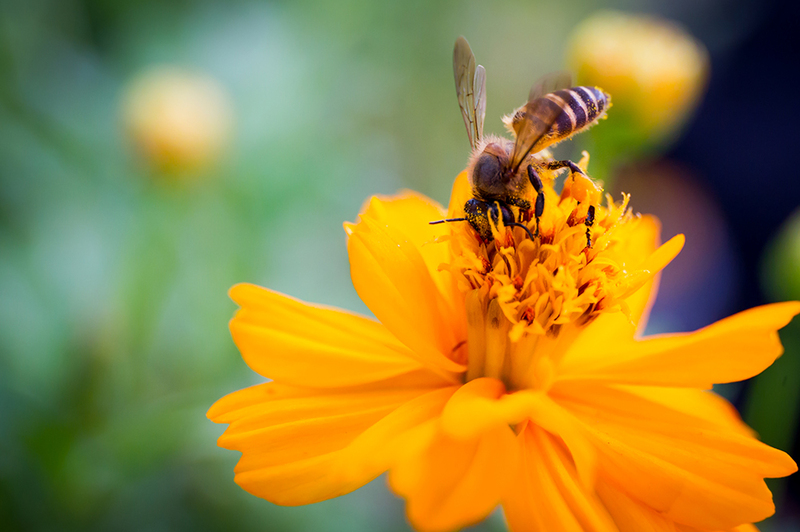 Flowering plants that attract bees will also help to pollenate and grow your fruit and vegetables, so your garden can be both functional and beautiful. You can also arrange your vegetables in contrasting colours: the bold red of tomatoes or the dusky purple of eggplants will add brightness among the more utilitarian greens and traditional veges. 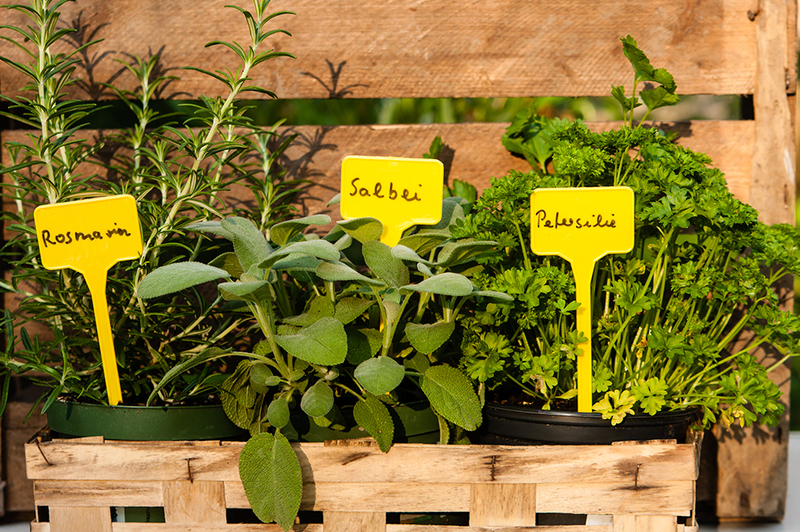 Herb gardens, while offering a bountiful feast of flavour and nutrition, also give your garden a textured and fragrant foliage. While you need to be careful about not planting many herbs in full sunlight, they’ll do well in the types of raised and ornamental beds that give visual appeal to contemporary outdoor living areas. It takes a bit of planning to design and develop an edible garden, and if you’re buying less mature plants, you’ll need to be patient for some time. But the health and financial benefits of growing and eating your own fresh fruit and vegetables are so significant that it’s truly an investment in your future wellbeing. Depending on the number and types of edible plants you want to grow in your garden, there’ll be some considerations for soil quality and preparation, the best areas for zoning and planting, and the maintenance you’ll need to keep them all healthy. Good design will help you to overcome any obstacles on your property, and build a garden thriving and flourishing with beauty and bounty. If you’re dreaming of a colourful, flavourful edible garden, but you don’t have the time or the skill to make it happen, get in touch with Circle Maintenance. Contact us anytime for advice or a consultation, and our team of professionals will develop landscaping concepts from what you’re imagining, and turn them into something you can harvest.